You are here: Home / Restructurings / Cerwin Vega, Inc. Although a number of strategic buyers expressed interest, the Stanton Group emerged as the highest value offer. 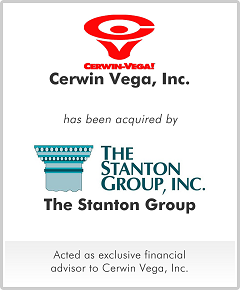 The Stanton Group indicated that it recognized significant value in the Cerwin Vega’s brand name, complimentary products and established distribution channels.